Fenton, Collectibles, Disney, Home Decor, Milk Glass, Furniture, Tools and More! Howard Miller Regulator Clock, Tell City Chairs, Vintage Fans, Tools, Furniture, Vintage items and more! Wonderful Online Auction being brought to you on behalf of Ohlinger Auctions LLC SCAL3200. Ethan Allen Furniture, Yamaha Disklavier Piano, Antique Sewing Machine, Wall Art and More! Collectibles, Tools, China, Crystal, Furniture, Albums, Baseball, Something for everyone! Online Auction being brought to you on behalf of Auctioneer Jake Ohlinger SCAL 3200. Pieces came from the estate of a world traveler who collected and cherished them. From their home to yours, enjoy! Railroad collectibles, Vintage Tools, Garage items, Household, Misc items and more! Sterling Silver Flatware, Gold and Silver Jewelry, Costume Jewelry, Furniture, Washer, Dryer, Glass, Ceramic and More! Assorted Lots of items, glassware, china, costume jewelry, misc items. Please bring boxes and paper for packing. Please bring help for loading of items as you will have to remove from home and carry. Vintage Furniture, Jeep, Glassware, China, Toys, books, Honda Motorcycle and more! Tools, Gaming items, Vintage, Glassware, China, Household items and more! Vintage Furniture, Collectibles, Household, Glass, China, Sports and more! Vintage Furniture, Collectibles, Vintage Glass, China and more! Vintage Furniture, China, Glassware, Pottery, Prints, Gamecocks items, Musical Instruments and more! Collectibles, Antiques, Books, China, Military, Vintage Toys and More! Vintage Toys, Star Wars, HO Trains, Lego Sets, Fishing, Household items and more! 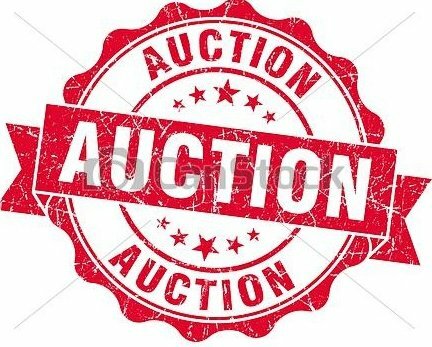 Wonderful online auction being brought to you on behalf of Auctioneer Jake Ohlinger (SCAL3200) Furniture, Collectibles, Tools, Railroad and More! Furniture, Toys, Collectibles, Singer Sewing Machines, Sterling Silver and More! Furniture, Vintage items, Toys, Jewelry and more! Tools, Kitchen Items, Home Decor, Craftsman Circular Table Saw, Tea Pots and More! Tools, Fishing, Household, Outdoor items, Cannon Rebel Camera and more! Fishing Lures and Poles, Furniture, Tools, Violin, Sterling Silver & Costume Jewelry + more! Watches, Costume Jewelry, Pocket Knives, Gold, Sterling Silver. Franciscan Desert Rose, Furniture, Kitchen, Office, Collectibles, Dining Room Table, Drexel Hutch, Clemson items, Pocket Knife Collection, Cross Pens, Silver flatware and more! Tools, Art, Prints, Furniture and more! Blenko Lamp, Collector Plates, Vintage Furniture, Vintage Glass and Porcelain, Costume Jewelry, Patchwork quilts and more! Furniture, Garden, Tools, Household, Stereo, LP's, Books and more! Something for everyone! Furniture, Collectibles, Vintage, Household, Tools & More! Vintage Furniture, Lamps, Exercise Equipment, Kitchen items, Restaurant items, Benches, Paintings and more!